In one of my previous content, I have shared how to start a blog for free. Now I am going to share you about 5 best free web hosting service providers who are really giving good and free web hosting services among their thousands of customers. Running a free website for few months you will feel the necessity of paid or premium website where you will be able to run PHP or any heavy programming language to build a dynamic website. This content will be very helpful to them who have registered a domain name for their website. Willing to start a dynamic website? Then you can buy a domain name and can choose any of given free web hosting providers to host your website. If you are not intended to create a website that makes money then, going with a free web hosting will be a better option. You won’t have to pay for your web hosting service. Now you can save your money and spent them for website design and for marketing purpose. Although, free web hosting service providers never provide the best service but it is better for newbies. A newborn website may not have thousands of visitors from the first month. Also, a new website may not occupy lots of storage. So starting a new website with a free web hosting is not a bad idea. 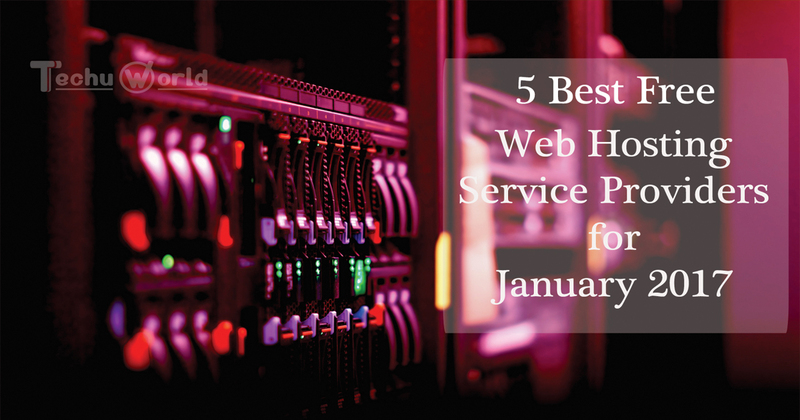 I will highlight 5 best free web hosting service providers in this content. These web hosting service providers are proven to be good and assure 99% uptime. All sorts of users can use them for free of cost. List of 6 best Free Web Hosting Service Providers. Monthly Bandwidth: 100 GB | Total Disk Space: 1.5 GB | Panel: Cpanel | Number of allowed MySQL Databases: 2 | Number of allowed Website: 1 | Hosting own Domain: Yes | FTP Service: Yes | Ads Free hosting: Yes | Supported E-mail accounts: 5. Monthly Bandwidth: 6 GB | Total Disk Space: 250 MB | Panel: Elefante | Number of allowed MySQL Databases: 1 | Number of allowed Website: 1 | Hosting own Domain: Yes | FTP Service: Yes | Ads Free hosting: Yes | Supported E-mail accounts: 3. Monthly Bandwidth: 20 GB | Total Disk Space: 5 GB | Panel: Cpanel | Number of allowed MySQL Databases: 3 | Number of allowed Website: 1 | Hosting own Domain: Yes | FTP Service: Yes | Ads Free hosting: Yes | Supported E-mail accounts: 0. Monthly Bandwidth: 250 GB | Total Disk Space: 10 GB | Panel: Cpanel | Number of allowed MySQL Databases: 3 | Number of allowed Website: 1 | Hosting own Domain: Yes | FTP Service: Yes | Ads Free hosting: Yes | Supported E-mail accounts: 1. Monthly Bandwidth: 50 GB | Total Disk Space: 6 GB | Panel: Zymic | Number of allowed MySQL Databases: 3 | Number of allowed Website: 1 | Hosting own Domain: Yes | FTP Service: Yes | Ads Free hosting: Yes | Supported E-mail accounts: 0. GoDaddy is partially free website provider. Their maximum service is premium but they have a service to build a website for FREE. Though you don’t have web programming or web designing skills, you can build a website for you with just simple drag and drop option. It’s a very easy user interface. Anyone can make a FREE website within half an The name GoDaddy is the most popular web host brand around the world. All the web hosting service providers are good both for free hosting or paid hosting. If you are on your startup then going with a free hosting will be a smart choice. I have shown 5 best free web hosting service providers with their offered service. Depending on your needs you can choose any of them. Next post What are Push Notifications for Posts in WordPress?